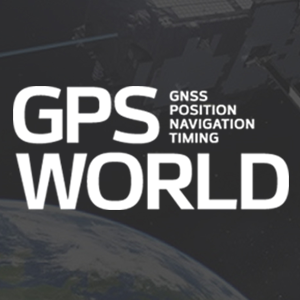 Invited guests at the annual GPS World Leadership Dinner, a special event held September 11 during ION GNSS+ in Tampa, Florida, heard perspectives from sponsors Lockheed Martin, Exelis, Raytheon, and Braxton Technologies, as well as visions of GNSS progress from our four award winners. Leadership Awards were given to Javier Benedicto Ruiz, Galileo Project Manager, European Space Agency (Satellites category); Sherman Lo, senior research engineer and associate investigator (APNT), Stanford University (Signals category); Eric Gakstatter, contributing editor for survey and GIS, GPS World (Services category); and Oliver Montenbruck, head of GNSS Technology and Navigation Group, DLR, German Space Operations Center (Products category). Over dessert, each table rose to the challenge of creating a phenomenal GNSS product or service and then competed in car races at the track. More coverage of the awards will appear in the December issue. The Dinner and Awards Ceremony was attended by 150 VIPs from industry, government, and research: top-level GNSS networking. The 2014 leadership awards, determined by a poll of 40 industry professionals, await the start of the ceremony.